The 42 Blu-Ray/DVD Combo pack. 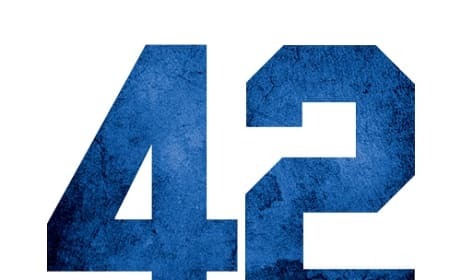 The story of Jackie Robinson is told in 42. 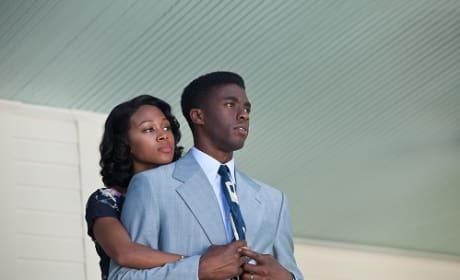 42 star Nicole Beharie and Chadwick Boseman. 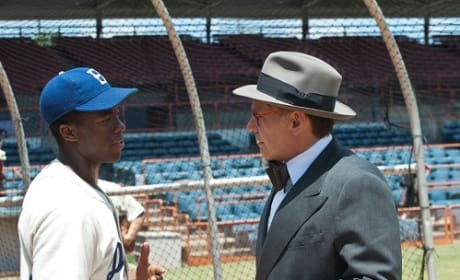 Harrison Ford also stars in the true story of Jackie Robinson. 42 star Chadwick Boseman. Harrison Ford also stars in 42. 42 stars Chadwick Boseman and Harrison Ford. 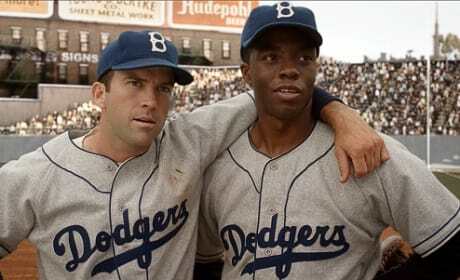 Ford and Boseman star in 42, the life story of Jackie Robinson. 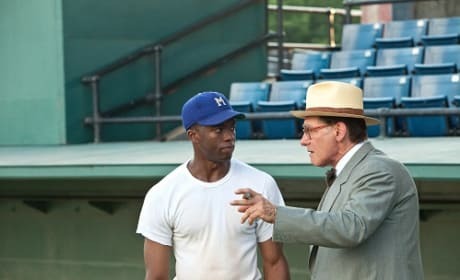 Chadwick Boseman and Harrison Ford in 42. Jackie Robinson's life comes alive with 42. Harrison Ford stars in 42. 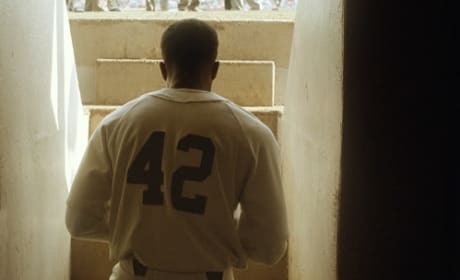 The film 42 is the life story of Jackie Robinson. The title treatment for 42. 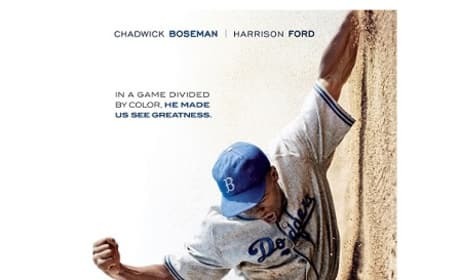 The film stars Harrison Ford and tells the heroic story of Jackie Robinson. The billing block for 42. The film stars Harrison Ford. 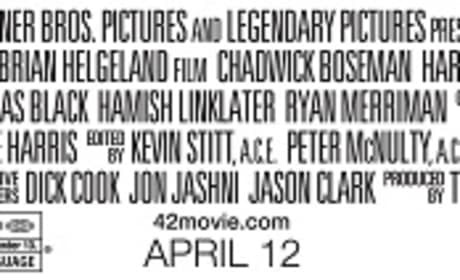 The 42 movie poster. 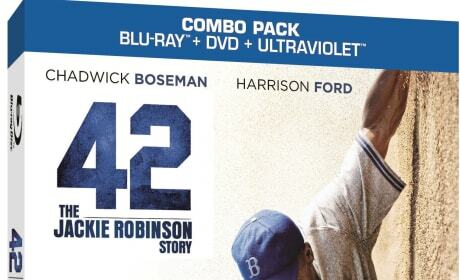 Harrison Ford stars in the true story of Jackie Robinson, 42. 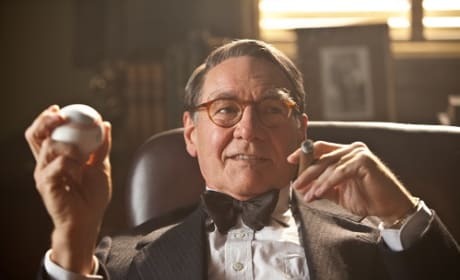 Harrison Ford is Branch Rickey in this still from 42. 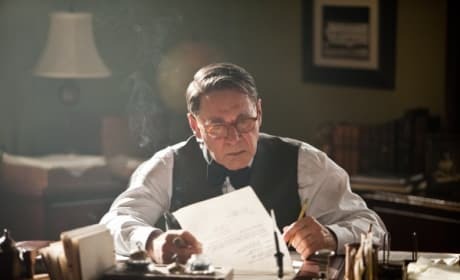 The biopic premieres just after the start of the baseball season, on April 12.